What are the dimensions of the seats in cessna 172? Home Cockpit Questions & Answers › Category: Construction › What are the dimensions of the seats in cessna 172? Can somebody tell me what are the dimensions of seats in cessna 172? I really need this. Thanks a lot to everyone. Marko, please be sure to phrase the title of your Q&A post in the form of a question. In this case I have changed it for you. Thanks. 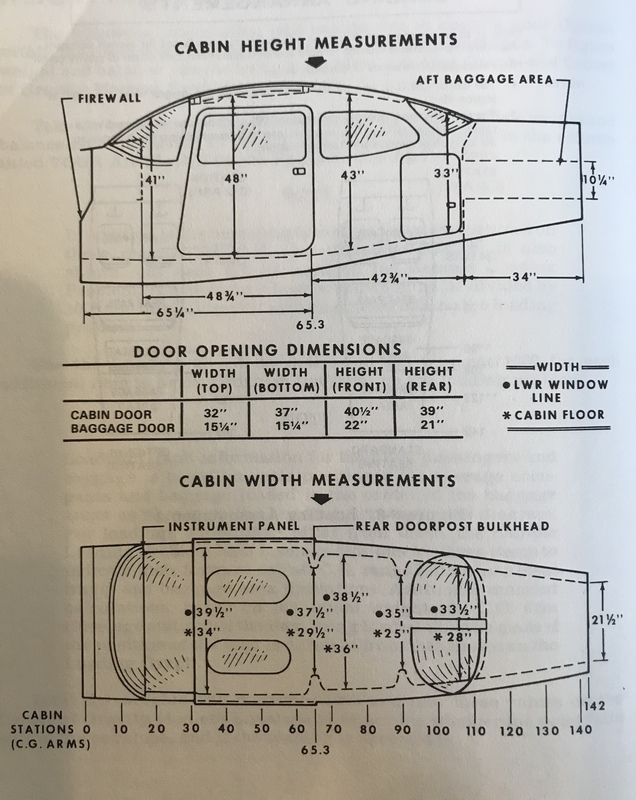 Marko, I know this isn\’t an exact answer to the question, but here are the interior dimensions of a 172P taken directly from the 1985 Information Manual. You can see that the interior cabin where the seats are is only 39 1/2 inches across at the window line. In the 172s that I fly there is maybe 4 to 6 inches between the seats, and probably 2 to 4 inches from my shoulder to the window. Given all that I’d say the seats are 16 to 18 inches wide (and probably closer to 16 – they are quite small).